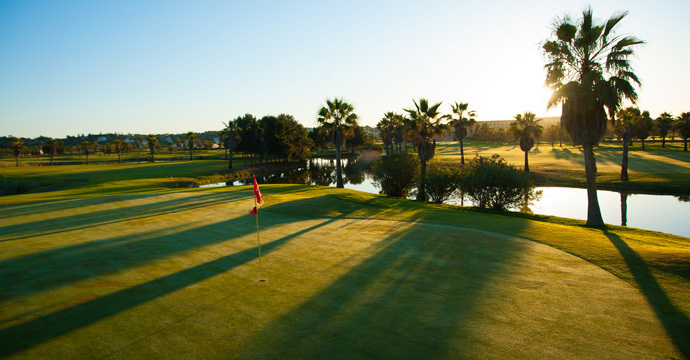 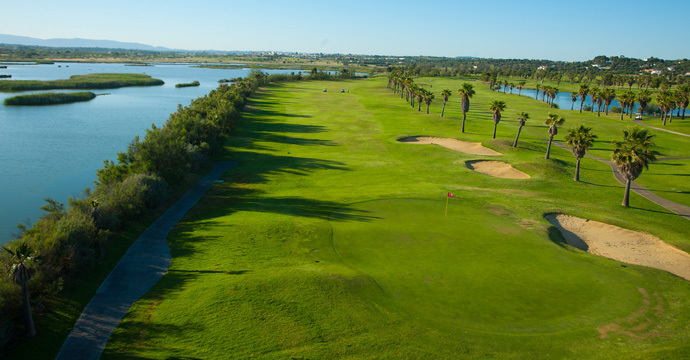 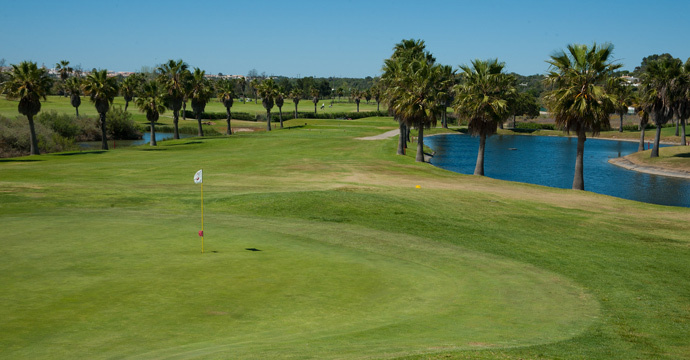 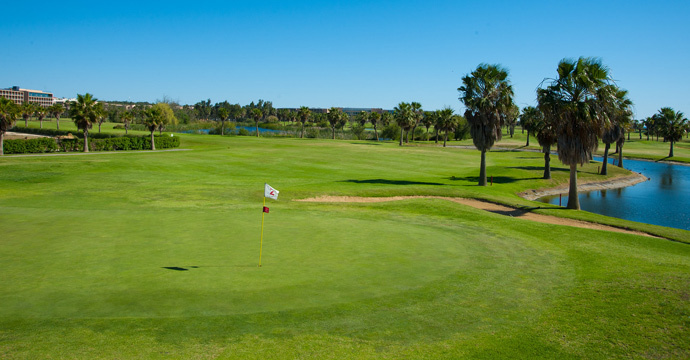 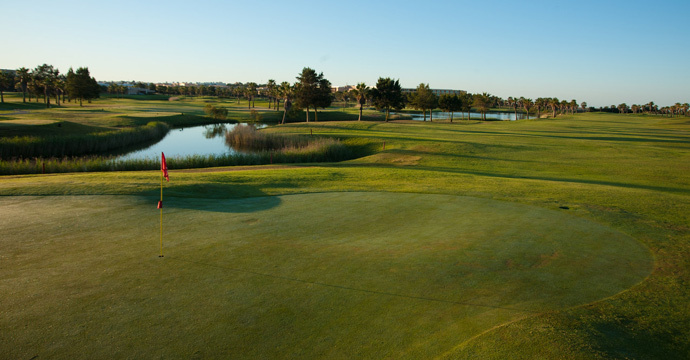 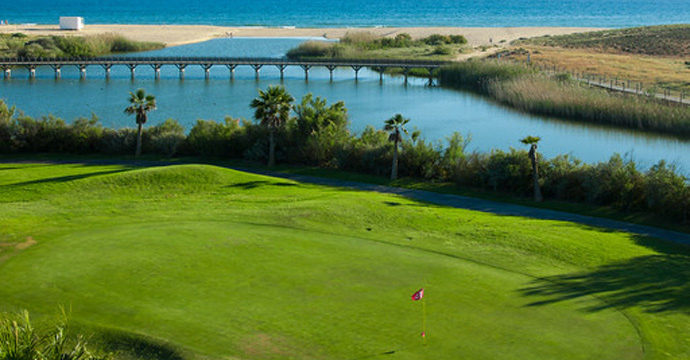 Salgados Golf Course is a par 72 course located by the sea shore, near the renowned holiday resort of Albufeira, Algarve. 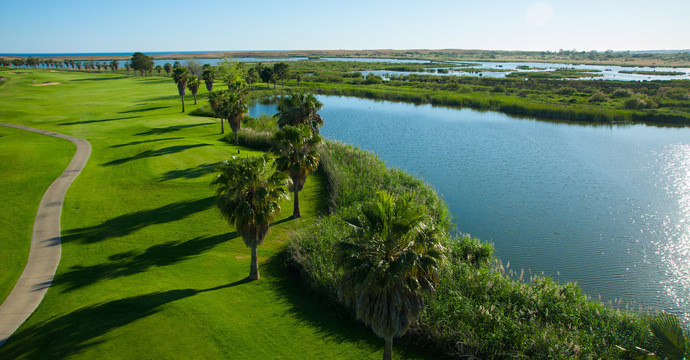 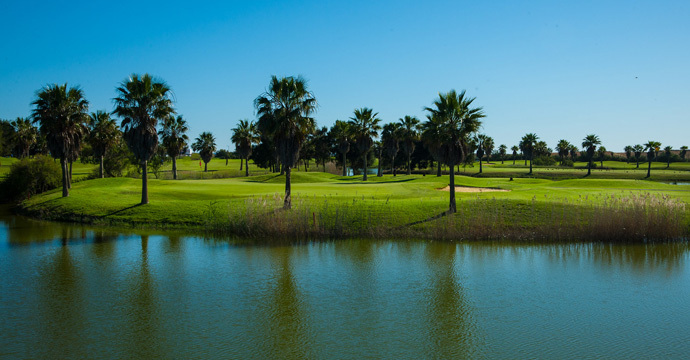 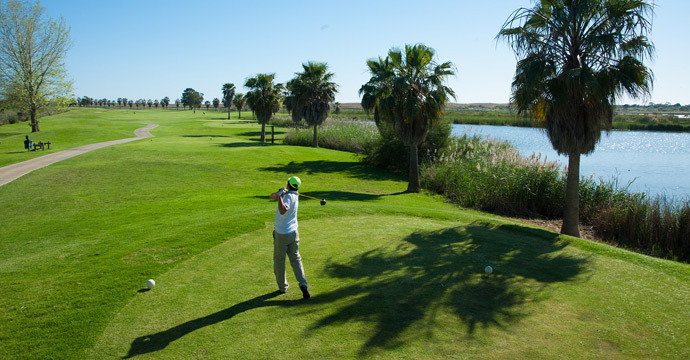 Salgados Golf couse is actually set on a beautiful nature reserve, filled with migratory bird species, among them, the stunning pink flamingo, so whilst playing you'll also have the chance to admire some of these wonderful birds. 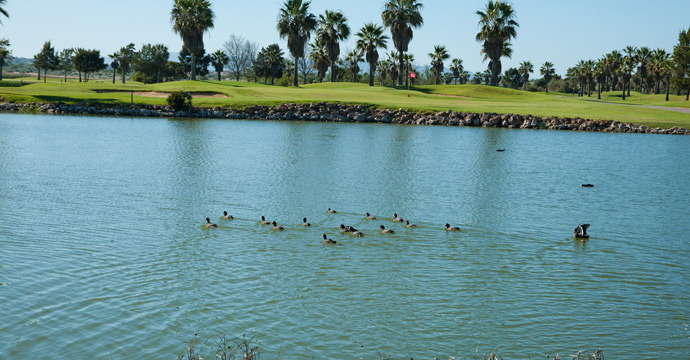 Salgados' main element is, without a doubt, water. 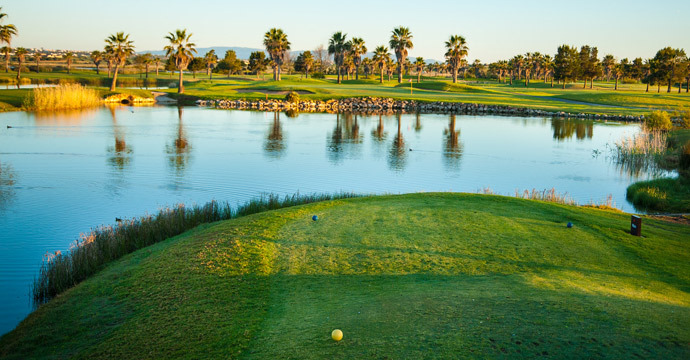 In fact, every hole apart from 17 has a lake on it, so if you're able to play the same ball start to finish consider yourself lucky! 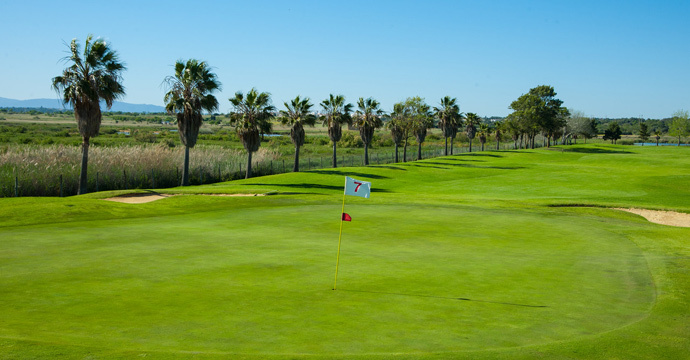 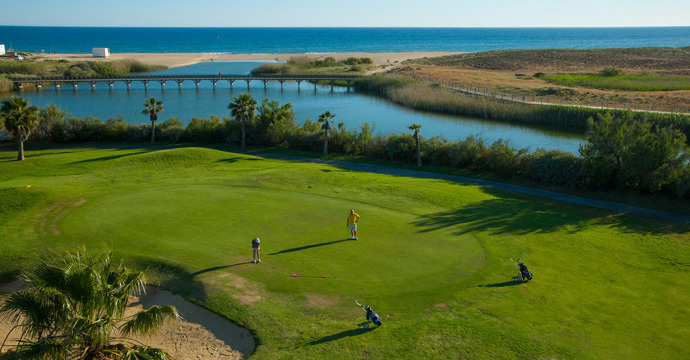 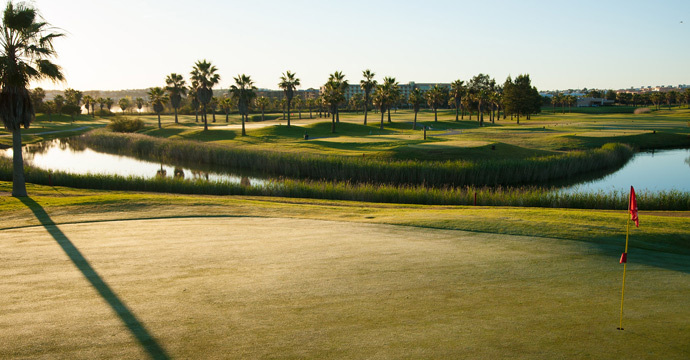 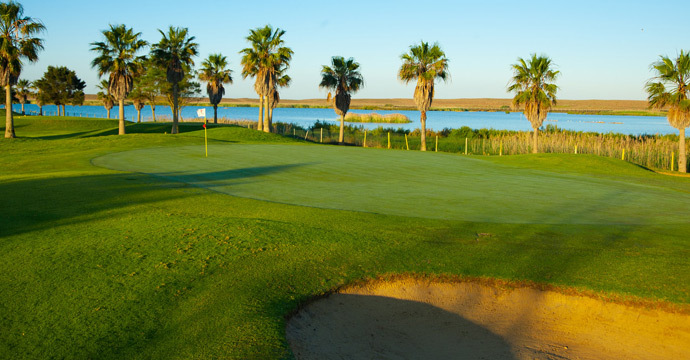 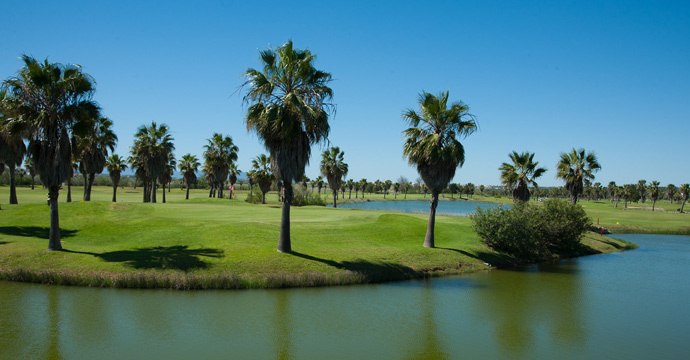 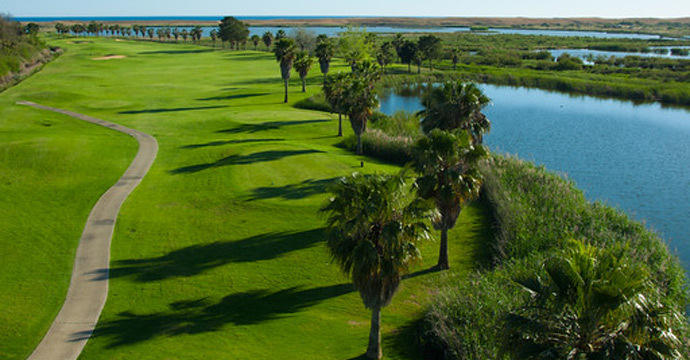 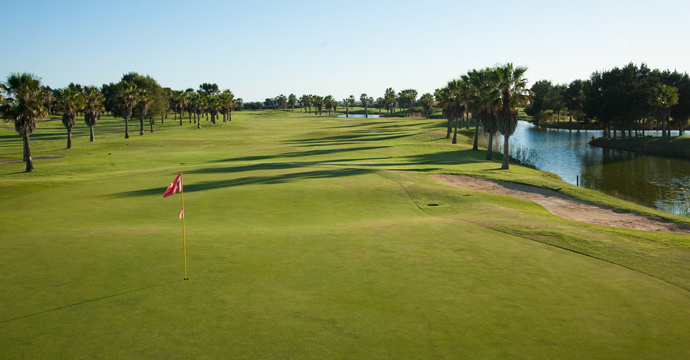 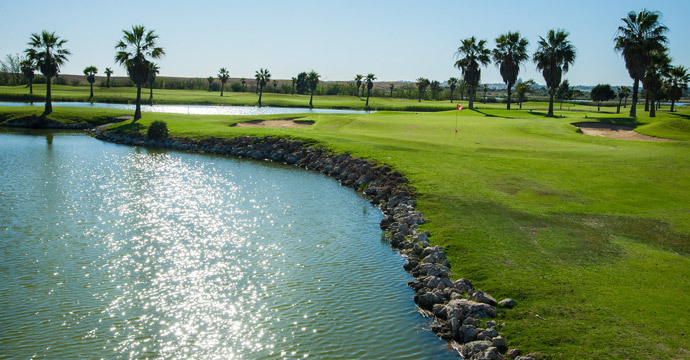 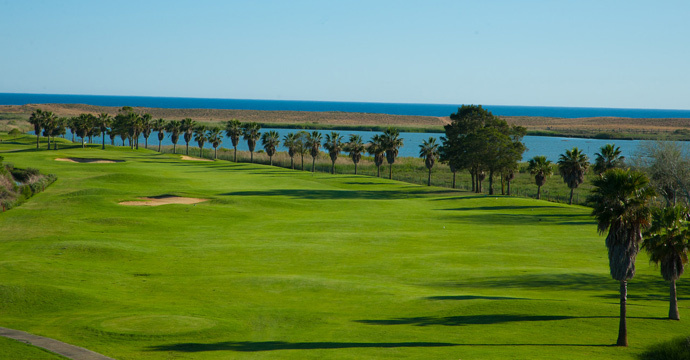 Salgados is a flat, modern links-style golf course with a tropical feel, enhanced by the pleasant sea-breeze.Hole 1, a par 4, offers you the opportunity to start your round with a birdie as you'll have plenty of space for your shots. 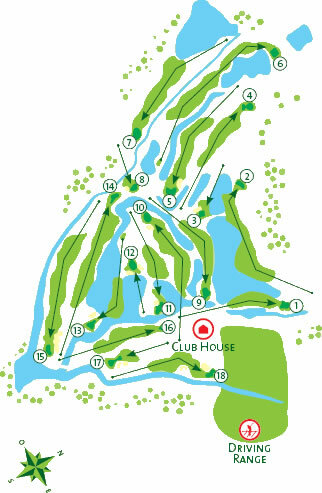 But remember that since it's quite open you'll need to consider the wind factor. 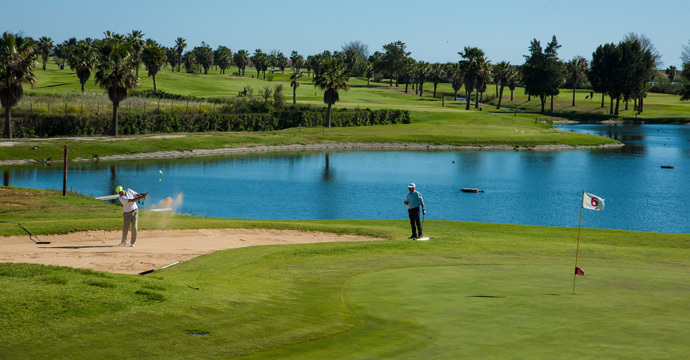 But an easy start nonetheless. 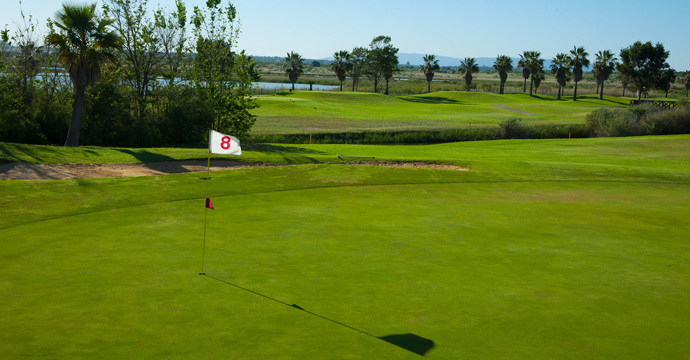 Hole 2 is a difficult par 5 for most where your 2nd shot determines your success. 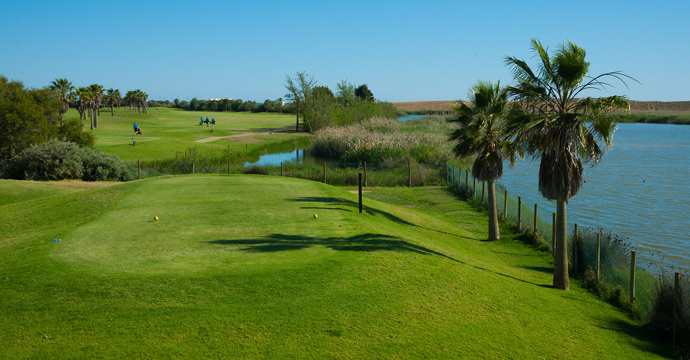 Hole 7 is a great par 4 and the course's stroke 1 so keep your expectations tamed and don't be disappointed with a five. 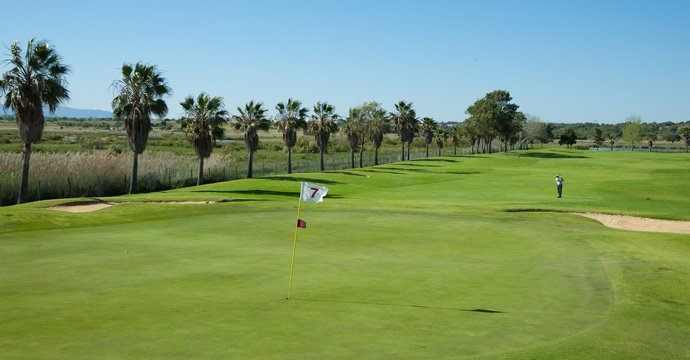 As you get to hole 12, a par 3, your choice of club is key. 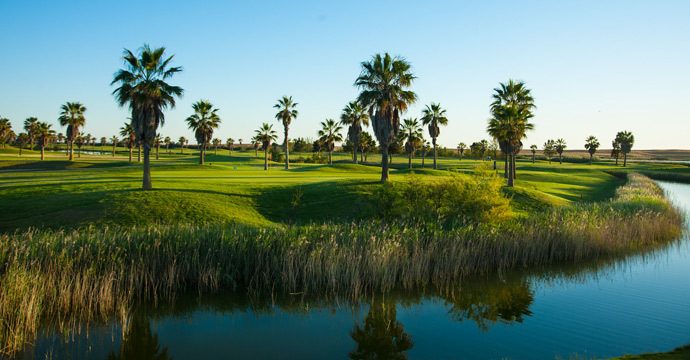 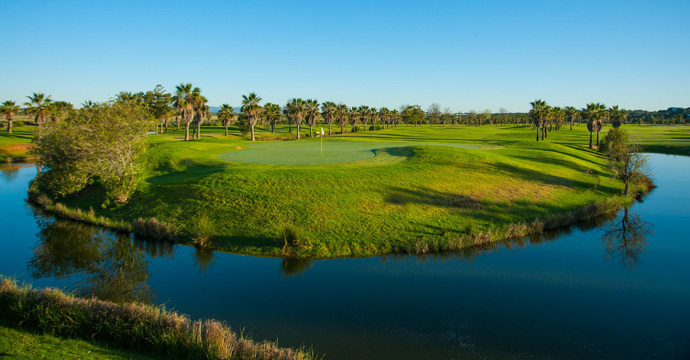 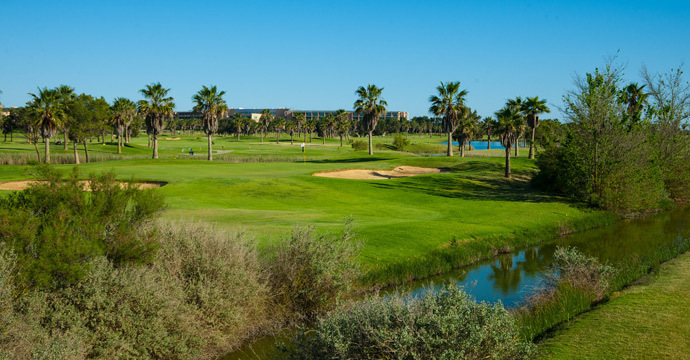 The back nine of Salgados golf course has two par 5's, 14 and 15, 14 is more accessible whilst 15 is a real par 5, where you'll need 2 and sometimes even 3 woods to have a chance at a good score. 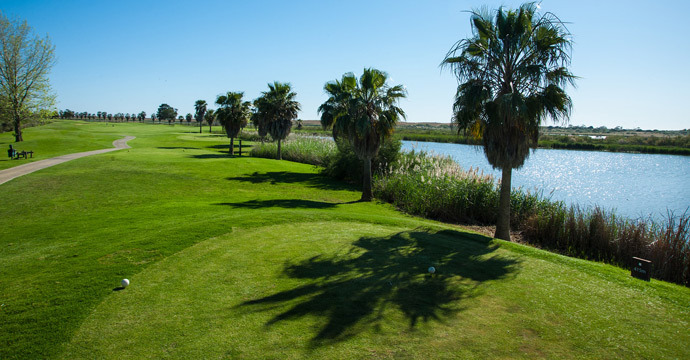 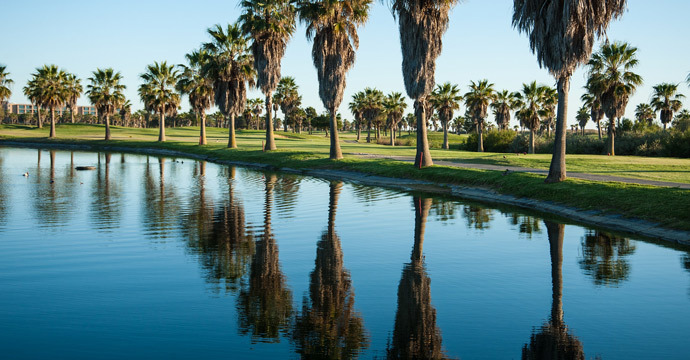 After your round of golf,at Salgados golf course, since you're already by the seaside, maybe some seafood and cool beers is the right thing on the menu. 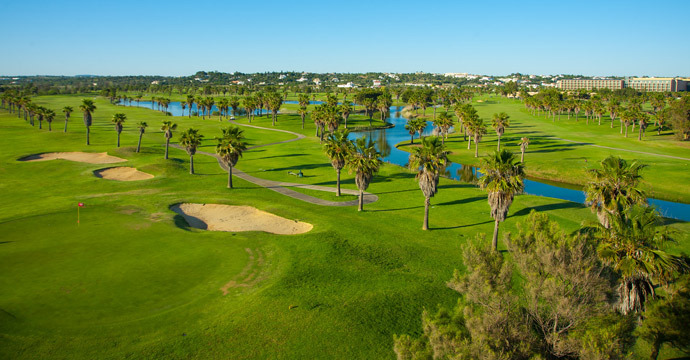 Try the beach restaurant at Salgados Beach or head further down the coast towards Armação de Pêra or even, if you prefer, head to Albufeira where you are really spoiled for choice. 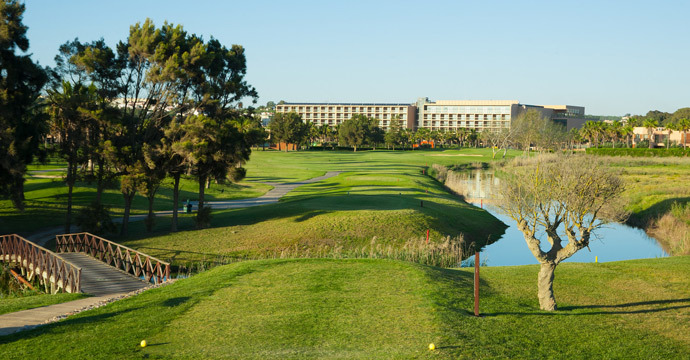 One thing we are sure of: you'll have a great day!